GVS Managing Director, Phillip Warren is an expert valuer and skilled project manager with 30 years industry experience. After his initial marketing work experience at Edward Rushton, Phillip established Australian Asset and Insurance Valuers as the head of the Sydney division where he performed valuations for hospitals, clubs and other small business. Aside from providing valuation expertise, he was pivotal in developing and executing business development strategies and maintaining client relationships for the business. Phillip is focused on devising effective solutions for his clients and frequently provides advice on complex valuation matters. 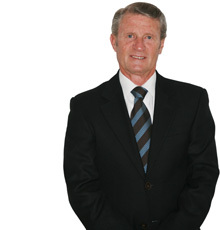 He has built strong relationships with many of his clients which have been long-lasting and mutually beneficial.